"This book is an excellent resource for nurses working in either a hospital or primary care"
"This book would be really helpful to other breast cancer nurses and students about to embark on work in this field"
This comprehensive handbook is for nurses and other healthcare professionals involved in the care of people with breast cancer. It gives up-to-date evidence-based information and practical advice on nursing care throughout diagnosis, treatment, recovery and end-of-life care. Each chapter is written by an expert in the field. Topics include the anatomy of the breast, available treatments, complementary therapies, the psychological care of patients and their families, and the role of the specialist nurse. This book provides a well-balanced approach to all aspects of managing breast malignancy. The importance of writing from a nursing perspective is underlined so that the essence of support and bedside care is maintained. 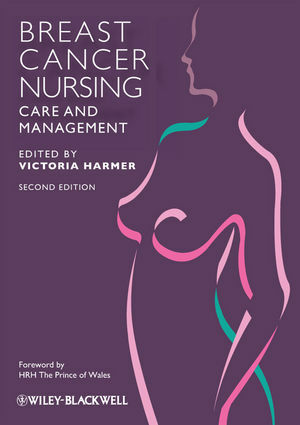 Victoria Harmer is the author of Breast Cancer Nursing Care and Management, 2nd Edition, published by Wiley.